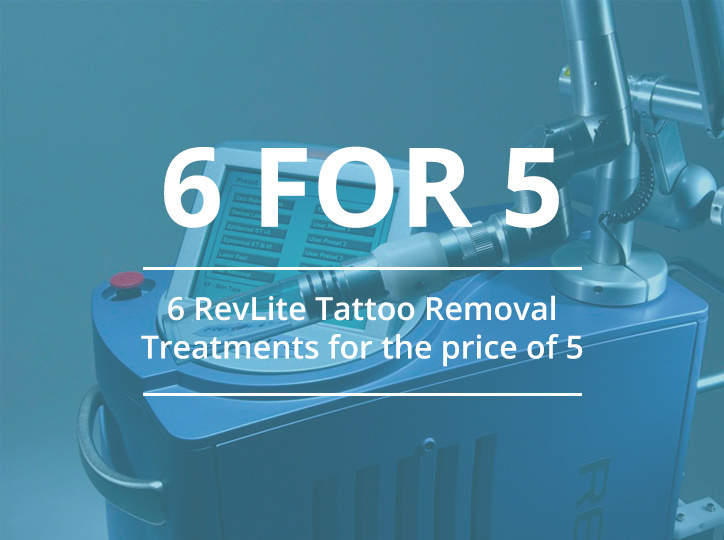 Our RevLite Q-Switched Nd:YAG laser is able to offer powerful tattoo removal at a great price. We can treat professional tattoos, amateur tattoos, traumatic tattoos and cosmetic tattoos. 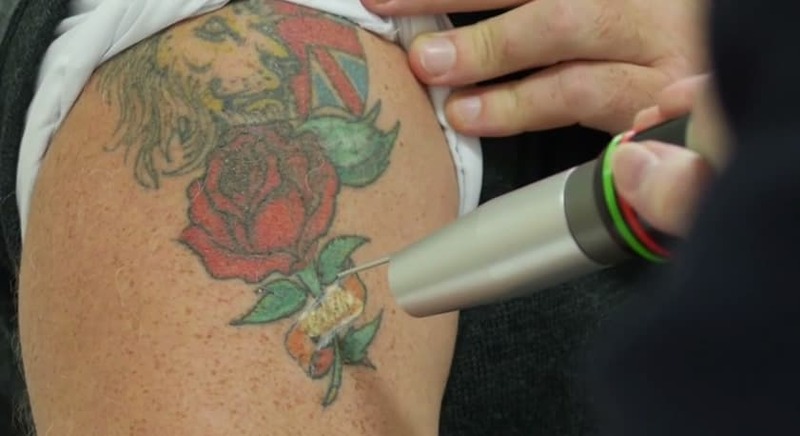 For black and red colour tattoos our RevLite machine is excellent. 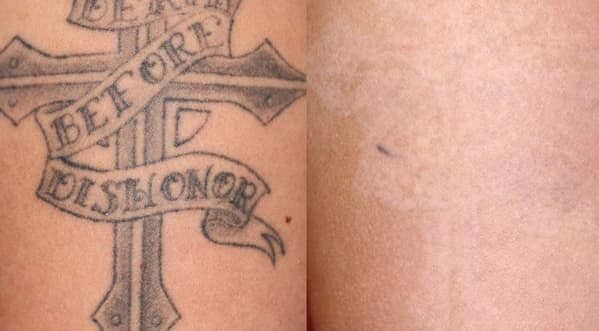 For blue, orange, purple, green, yellow and light blue tattoos, we recommend treatments using our PicoSure laser. 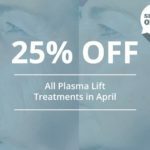 The RevLite laser produces rapid, short pulse widths of energy – this limits the healthy skin’s exposure to heat which makes treatments safe and fast. The resulting effect on the ink is vibration, shattering the target molecules. Your tattoo will require multiple sessions before it’s fully removed. 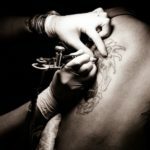 The amount of sessions or treatments will depend on how large your tattoo is, what sort of ink has been used and the length of time between your sessions. Does the RevLite treatment hurt? The feeling of each short pulse is usually described as feeling like the ‘snap’ of a rubber band on the skin. This all depends on the size and type of ink used. As a rough guide a ‘professional’ tattoo will need between 6 and 10 sessions whereas an ‘amateur’ tattoo might only require between 3 and 6. It’s always best to come and visit for a consultation first – we’ll be able to give you a more accurate idea of the number of sessions required. Our pricing for each session is below. How much does RevLite cost? Check our offers page for the latest RevLite package deals. 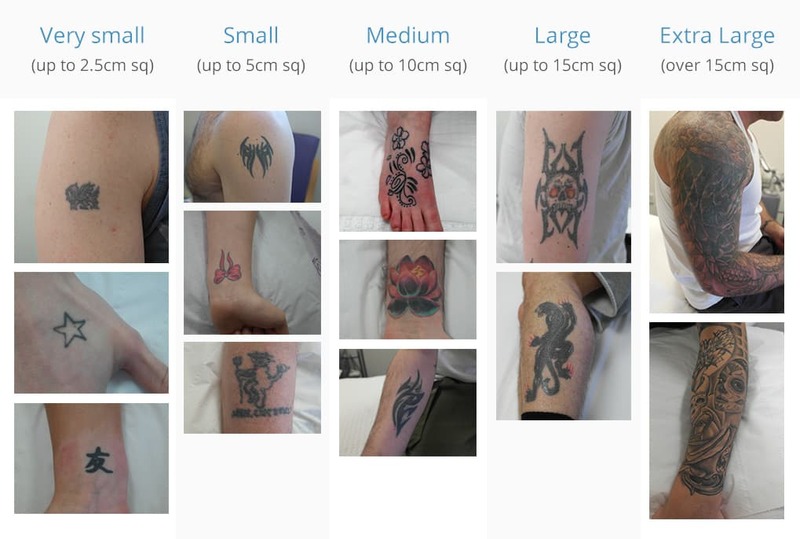 Unlike other clinics we take into account the size, shape, design and density of each tattoo to give a personalised and accurate price. If your tattoo has spaces in the design, we take this into consideration and adjust the price accordingly. 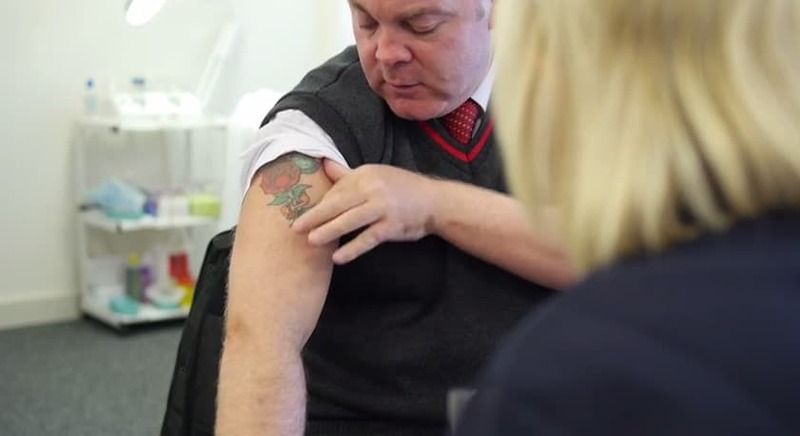 Unsure of the size of your tattoo? Don’t hesitate to send us a picture of your tattoo via our contact form and we’ll get back to you with an accurate price.